"Congressman Jones will long be remembered for his honesty, faith and integrity," his office said in a statement on his passing. "He was never afraid to take a principled stand. He was known for his independence, and widely admired across the political spectrum. Some may not have agreed with him, but all recognized that he did what he thought was right." 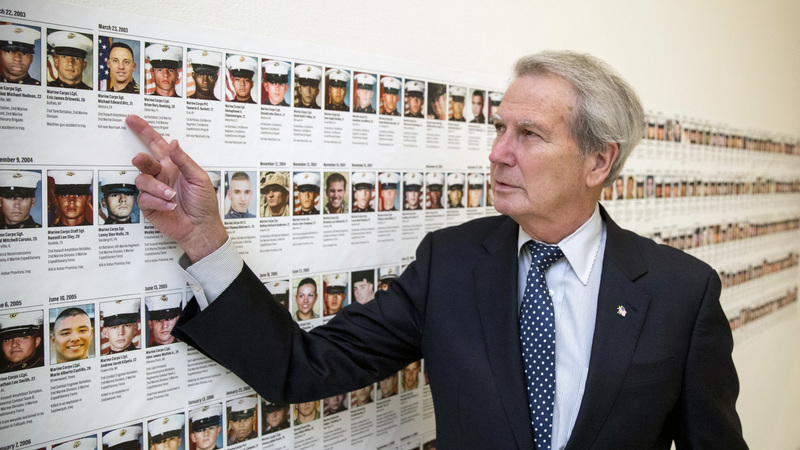 He will also be remembered for being one of the Congressmen who pushed to rename the congressional cafeteria's french fries to "Freedom fries,"after the French opposed the 2003 U.S. military action in Iraq. Before serving in the House of Representatives, Jones spent 10 years as a Democrat in the North Carolina state House. He first ran for Congress in 1992 as a Democrat, attempting to fill the seat of his father Walter Jones Sr., who served in Congress for over 25 years, the Raleigh News & Observer reports. But failing to win the state's Democratic primary, he changed parties, and in 1994 won a seat as part of the so-called "Republican revolution" that made Newt Gingrich then-Speaker of the House.